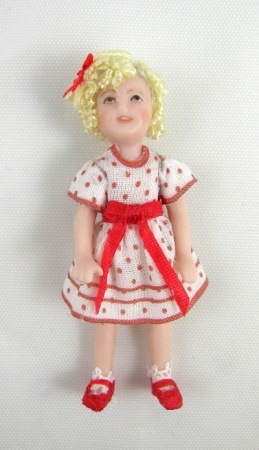 Tiny little Shirley - measures 2" from top of curls to bottom of cute little feet! Two mold set. Legs have molded feet, and highly detailed hands. Head is attached to torso. Cute for your dolly to hold.